» Articles » What is a Smart Transmitter and is calibration of Smart Transmitters necessary? What is a Smart Transmitter and is calibration of Smart Transmitters necessary? What is a Process Transmitter? 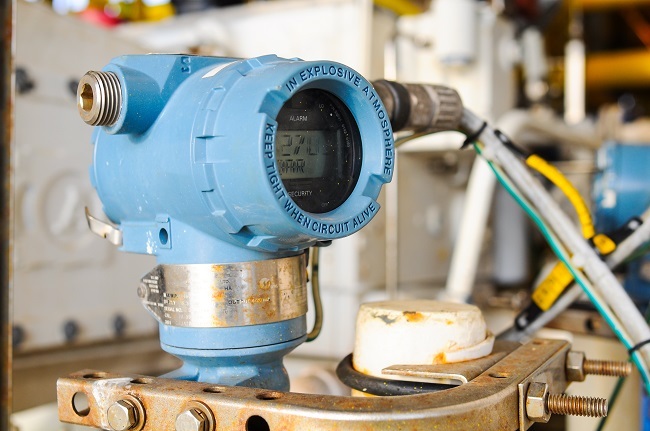 A process transmitter is a device that senses a physical parameter, whether that be pressure or temperature in an application and generates an output signal proportional to the measured input. What is a ‘Smart’ Transmitter? In order for an instrument to be coined ‘Smart’, it usually utilises a microprocessor. A microprocessor-based smart transmitter has a memory that can perform calculations, produce diagnostics and out-perform older, more conventional transmitters, when it comes to accuracy and stability. A ‘Smart’ Transmitter would also have a digital communication protocol that can be used for reading the transmitter’s measurement values and for configuring various settings in the transmitter. For engineer’s who need to configure and calibrate the transmitter, the digital communication protocol makes the biggest difference. Engineers can no longer simply measure the output analogue signal – they need to be able to communicate with the transmitter and read the digital signal. The most common digital communication protocols is HART protocol, which stands for Highway Addressable Remote Transducer. A HART transmitter contains both a conventional analogue mA signal and a digital signal superimposed on top of the analogue signal. Since it also has the analogue signal, it is compatible with conventional installations. Field bus and Profibus contain only a digital output, with no analogue signal. Is calibration of Smart Transmitter important? Even the best instruments and sensors drift over time, especially when used in challenging process applications. Regulatory and quality standards often state the minimum time period for instrument calibration. Economical reasons – measurement of process parameters often has a direct economical effect. Health & Safety – it is essential that regular checks are performed in order to adhere to necessary health and safety requirements. Calibration is necessary to achieve high and consistent product quality and to optimise processes.